At Equine Legal Solutions, our boarding stable clients often ask about parents dropping off their children and leaving them for hours at a time. As one of our clients remarked with some frustration, "I'm running a boarding stable, not a daycare!" What is the risk of having unattended minors (e.g., persons under 18) at your facility? The primary risk is that the child or teen could be involved in an accident. As a boarding stable owner, of course you don't want anyone to get hurt, human or equine. In addition to that, you also don't want to get sued. If a child or teen is hurt in an accident, and the parent isn't present, there's a risk that the parent could bring a negligence claim. The negligence claim would likely allege that the stable was aware that the child or teen was there alone, and therefore the stable had a duty to supervise the child's activities. There's also a secondary risk to having unattended minors on the premises, which is that they can cause someone else to have an accident. Even the most innocent activities can easily spook a horse, such as a rambunctious game of tag or hide-and-go-seek. Kids like to pet horses and feed them treats, which can cause big problems if they choose the wrong horses to pet and/or feed. If kids don't have something to do, they will find something to do, and what they choose to do won't always be suitable for a boarding stable environment. Having unattended minors on the premises can be bad for business, too. If a serious rider is in the arena, and kids are out there playing around, it can be really annoying to the rider who's trying to accomplish something. It's helpful to have an adult there to intervene before the kids get too disruptive. If the boarding stable staff are the ones who have to play traffic cop, it takes them away from their regular jobs, and it's also frustrating for them. What if the child or teen is at the barn to take a lesson? During the lesson, the child will of course be under the instructor's supervision. But before and after the lesson, the child will still be unsupervised unless a parent is present. And, accidents can easily occur on the ground, such as during tacking and untacking. For these reasons, Equine Legal Solutions recommends that boarding stables require that persons under 18 be accompanied by a parent or responsible adult. 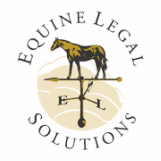 In fact, it's one of the suggested barn rules in the boarding contract that Equine Legal Solutions offers as part of its Boarding Stable Agreement forms package.